Good news and bad news, potential dungeon siegers. First, the good news. Gamers who pre-order Dungeon Siege 3 through Steam will receive free digital copies of Dungeon Siege 1 and Dungeon Siege 2. Awesome. All PC versions of DS3 will also "include a host of Steamworks features, including auto-updating, Steam Achievements, Steam Cloud support, downloadable content and more." Hooray! Now for the bad news. The game has been delayed across all platforms. According to Joystiq.com, DS3 has been pushed back to June 21 in North America. Europe can get their siege on a few days earlier, when the title releases on June 17. 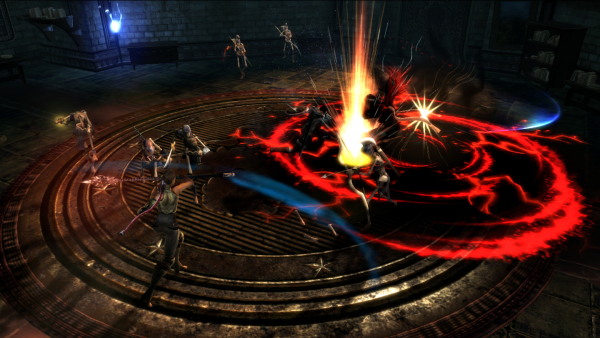 In other Dungeon Siege 3 co-op news, PlayStation Blog EU has revealed that enemy levels will scale to the number of players in a game. That means larger XP rewards and better loot. It also has been revealed that joining players will be able to vote on story decisions, but the final outcome is decided by the host. Dungeon Siege 3 supports 2 player local co-op and 4 player online co-op, and if you have already forgotten, it releases on June 17 in Europe and June 21 in North America.